Iowa nicknamed the Hawkeye state has been listed as the safest state to live. They are the 26th most extensive in land area and 30th most populous state. 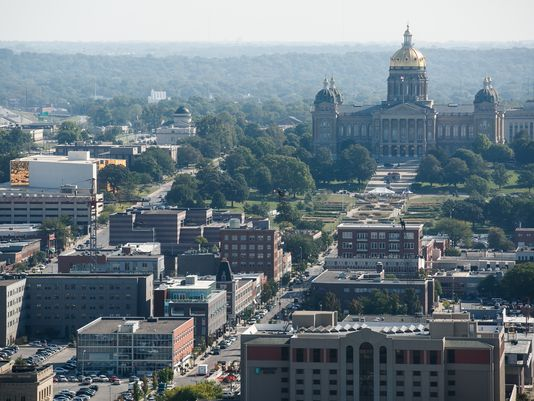 Its capital and the largest populated city is Des Moines. They are the only Midwestern state neighboring the Mississippi River, Missouri, the Big Sioux rivers, Wisconsin, Illinois, Nebraska, South Dakota, and Minnesota. 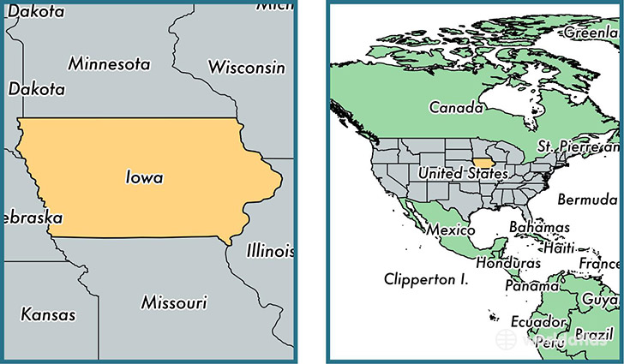 During colonial times, Iowa was a part of French Louisiana and Spanish Louisiana. Their state flag pattern after the flag of France and after the Louisiana Purchase, the state laid the foundation for an agriculture-based economy. Further, into the 20th century, Iowa economy started diversifying and had transitioned to advanced manufacturing, processing, financial services, information technology, biotechnology, and green energy.